None of the Hawksworth ‘County’ 4-6-0 class survived the cutter’s torch despite their relatively young age when steam was phased out on BR’s Western Region. 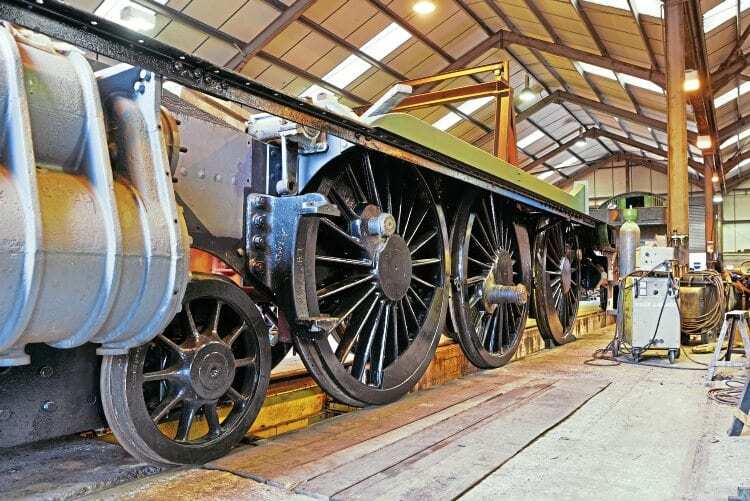 David Bradshaw provides an update on the Great Western Society’s project to re-create that missing link in the GWR passenger locomotive stable… but it needs a little help from RM readers. THE imminent launch of No. 2999 Lady of Legend – the 77th member of the ‘Saint’ class 4-6-0 – is expected in early 2018, and with excellent progress being made with the 81st member of the ‘Grange’ class 4-6-0 – No. 6880 Betton Grange (expected to steam in 2018/2019) – there remains just one more locomotive to be completed in order to see a complete set of Great Western design 4-6-0s for the first time since 1964. The driving wheels of the ‘County’ after installation in the frames. To reach this remarkable goal the Great Western Society (GWS) needs the help of Railway Magazine readers to complete No. 1014 County of Glamorgan, which is entering the final stage of its rebuild from ‘Modified Hall’ No. 7927 Willington Hall at the Didcot Railway Centre. 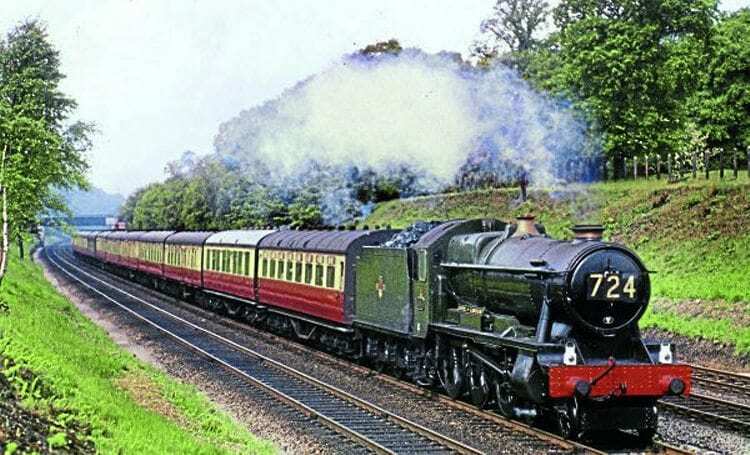 Even more remarkable will be the opportunity of seeing at least one example of these GWR 4-6-0s in steam at the same time. The exception, of course, is legendary Churchward ‘Star’ class No. 4003 Lode Star, which appears to have been condemned to an existence as a static exhibit by the somewhat bizarre belief its Swindon paint job is too precious to mess with. Alignment of the leading driving wheelset is checked during installation. For ‘King’ and ‘County’: The Great Western Society’s single-chimney ‘King’ No. 6023 King Edward II and the frames of ‘County’ No. 1014 County of Glamorgan sit outside the shed at Didcot. Funding of £130,000 is needed for the completion of the ‘County’ to make a representative set of GW 4-6-0 passenger locomotives. In actual fact Lode Star is an odd mix of pre- and post-First World War finish in that it has lost the brass beading which was removed during the war and the elbow steam pipes fitted during the 1930s. The paint job is pure BR Swindon, which seems to make all the difference.